An elegant gift! 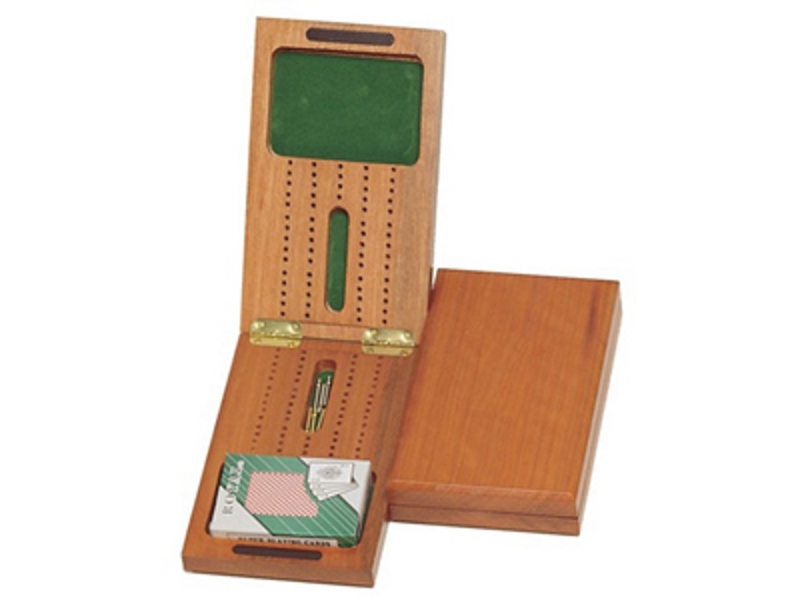 This is a high quality wooden 2-Track cribbage board that folds for easy storage. Includes cards and 6 metal pegs. * Board Measures 7 1/2" x 4 1/2"
Page P3112 Copyright © 1999-2019 GammonVillage Inc., USA. All rights reserved.